Cyril & Stan had a great time today celebrating Chinese New Year in Newcastle. They were delighted to see lots of dragons dancing on the streets in Chinatown and even managed to bring one home themselves! 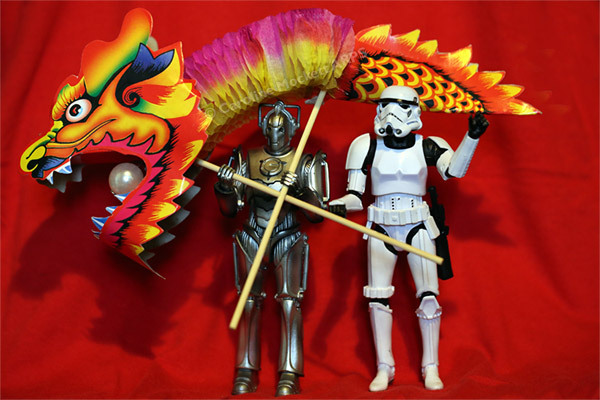 Kung Hei Fat Choi. 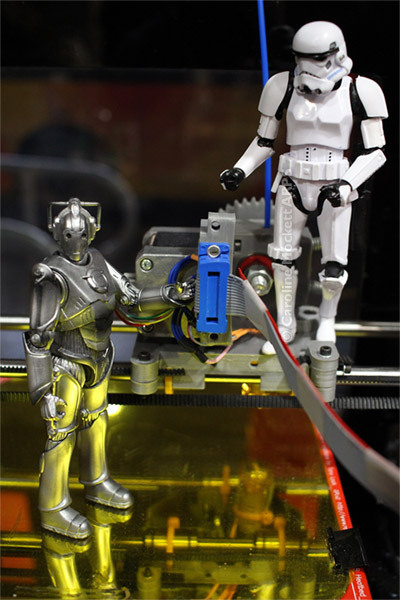 Having figured out how to operate the 3D Printer, Cyril & Stan decided what they wanted to make. 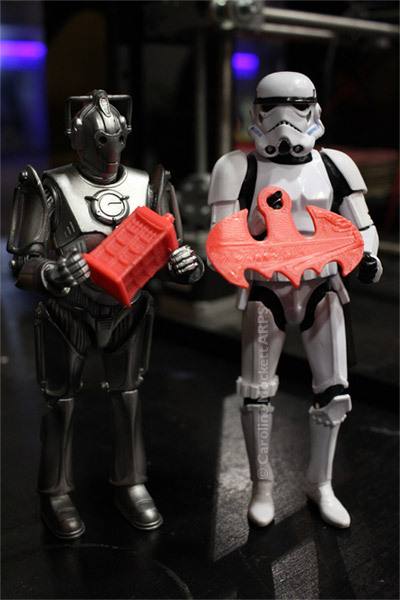 Cyril fashioned a little Tardis, travelling box of his arch Nemesis The Doctor, while Stan chose to make a Batman keyring. Cool stuff, guys! 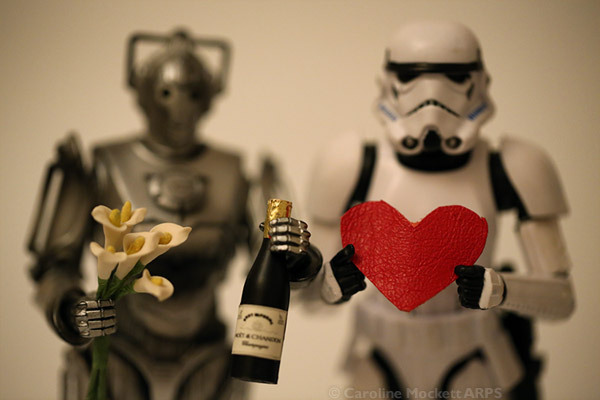 I had a lovely surprise for Valentine’s Day when Cyril & Stan presented me with Champagne, flowers and a big read heart. I never knew they were such romantics! The boys have been wandering off again while I was busy at work. 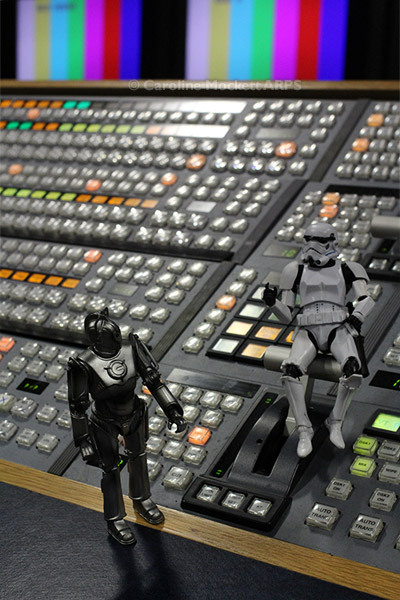 This time I found them in the gallery of Studio D, playing with the Vision Mixer. Good job nothing important was on air at the time!